If you’re looking for a new app to try, you’re in luck, 20 iPhone, iPad and iPod touch apps just hit our database. 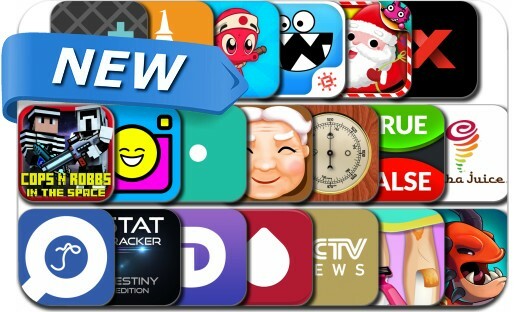 This new apps alert includes True or False: Quiz Battle, Cops N Robbers 3D Wars in Space, Monster Kingdom 2: Rise of the Grembles, Eureka: Quick Memo & To-Do List, Xapo, Dash API Docs, SnapCam : Big Emoji Camera and many others. Christmas Fun: Songs, games and photo frames!